FBO.gov (soon to be SAM.gov) is the main portal where the Federal Government must post opportunities of $25,000 and above. Millions of eyeballs see this! Thousands may respond. Only one will win. Your chances are slim. Look for RFI (Request for Information) and Sources Sought to get in early on opportunities that may eventually graduate to RFP (Request for Proposal) status (in 12-24 months). Coming late to the party is not a wise strategy. Leverage the data aggregators or conduct your own research on competition and possible partners. Understand and review trends on who is winning contracts under your NAICS/industry codes. Use the publicly available sites FPDS.gov and USAspending.gov as well as GSAadvantage.gov to gather some intelligence and facts. Create a strategy based on facts. If you are a small business, the Federal Government has a goal of awarding approximately 24% of contracts to you (women, veterans, HUBZone, SBA 8(a), etc.). The large businesses have a goal of approximately 36%. Pursue both avenues, as competition is fierce and going down one path will limit your pipeline and chances. Review the SBA Scorecard online to learn which agencies have a propensity to award contracts to you and who needs to bring their grade up. Special Note: Take advantage of the new All Small Mentor-Protégé Program. Read publications, sign up for trainings, newsletters, webinars and podcasts to keep current on issues in federal contracting as well as your industry. Stay current on legislation that impacts federal contracting rules. The more you know the more competitive you will be. If you are located in the Washington, D.C. metropolitan area, you are fortunate. Take advantage of doing business with the state you are headquartered in, as well as neighboring states and the affluent counties with money to spend. State and local governments have different fiscal years from the Federal Government which will experience their own peaks and valleys. Diversifying a portion of your client portfolio can help you survive the federal shutdowns, sequestration, longer budget cycles and other common obstacles in federal contracting. 6. Where Is Your Easy Button? Make it easy for the buyer to find you, understand what you are offering and above all, make it easy for the customer to purchase from you. This may include a contract vehicle such as a GSA Schedule, other GWAC, specific agency contract or even a set-aside certification. There are many contract vehicles available. Do your homework first to understand how your ideal customer purchases before selecting a contract vehicle. Leverage federal contracting related associations, incubators, chambers of commerce and resource organizations such as the PTAP’s, SBDC’s and others dedicated to a specific set-aside or industry for events. Attend the OSDBU Industry Days and other government open house events. Shake the right hands and don’t forget to stop and make an introduction for someone along the way. 8. So, What Exactly Do You Do? If you are a small business, do not focus on presenting your firm as an 8a or HUBZone or Veteran or other set-aside. Focus on what you do and do well. We typically suggest no more than three main areas of expertise. You can’t be everything to everyone. The Federal Government has no shortage of small businesses. The government has a shortage with small businesses who have no experience or past performance. Lead with your capabilities and experience, which will get you far with the risk-adverse Federal Government buyer. Want More Government Contracting Tips? 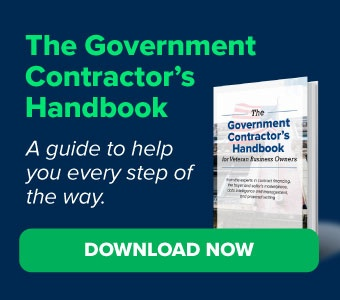 We created “The Government Contractor’s Handbook” to help you through every step of the process. It includes secrets to become successful, how government contract financing and factoring works, proposal basics, how to manage your sales process and much more. 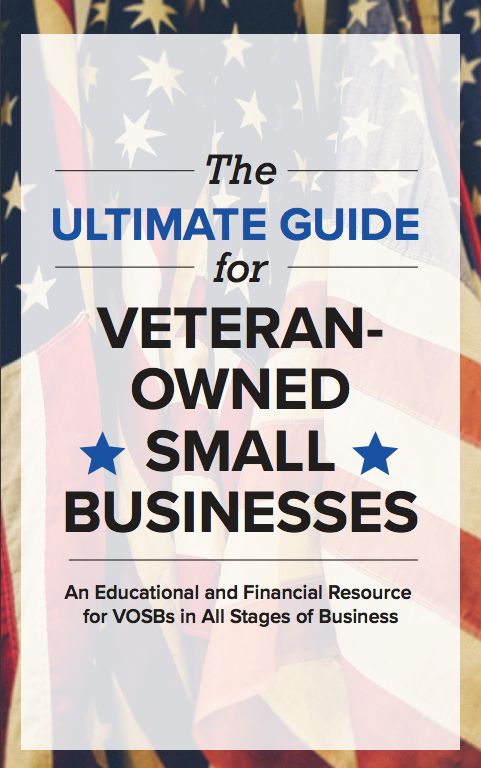 Join the thousands of veteran small business government contractors who have downloaded it. Click here to download it now. This post is a guest submission from Jennifer Schaus, Principal of Schaus & Associates. The views and opinions expressed in this article are those of the author and do not necessarily reflect the official opinions, policies, or positions of StreetShares or any of its affiliates.